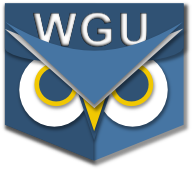 A new version of PocketWGU is in the Market to fix the problems that occurred when WGU changed the Student Portal. All Android users should update to this version as soon as possible. Please note you need "0.4.9.1" and not the old version (0.4.9) to keep things working. Special thanks for the work of Rick Fowler who made this fix possible, thanks Rick! On a side note: PocketWGU has now been downloaded almost over 600 times, and Google reports over 500 600 active users of the app!